United Yacht Sales New Jersey would love to guide you through a personal showing of this 153' Cantieri Di Pisa 2013. This yacht for sale is located in Fort Lauderdale, Florida and priced at $16,495,000. For a showing please contact us by filling out the form on this page and we will get back to you shortly! Built in 2013 by Cantieri di Pisa, Balista has fiberglass hull and superstructure, with teak decks. 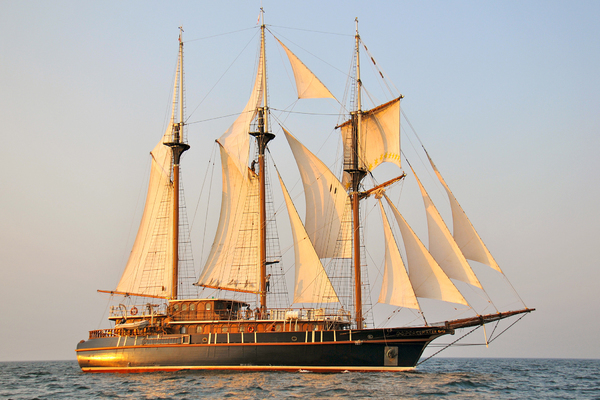 GENERAL Sleeps up to 14 in the Owner's party in 7 staterooms, plus crew accommodations for up to 10 in 6 cabins. OWNER The Master suite features a full beam cabin on main deck with His and Hers bathrooms, walk-in wardrobe and spacious Owner’s study. GUESTS Guest staterooms offer (1) full beam VIP suite (can divide into two cabins), plus two twin cabins each including a Pullman berth, and two double cabins. Every cabin has its own en-suite bathroom. All cabins fitted with TV and stereo system CREW Engineer’s cabin benefits from a double berth, study space and en-suite bathroom. (3) Twin bunked cabins with en-suite bathrooms. (2) Single cabins with en-suite bathrooms. Crew Mess with adequate seating at dining tables plus fridge, sink, serving space and TV.